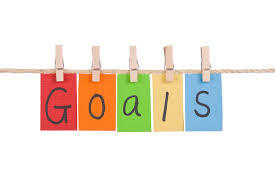 Happy New Year….Set realistic goals for yourself and help your children do the same. At an early age, it is useful for kids to think about what they want to achieve. As a parent, it is interesting to listen and learn what is important to them. 1. I will drink water every day, and drink soda and fruit drinks only at special times. 2. I will put on sunscreen before I go outdoors on bright, sunny days. I will try to stay in the shade whenever possible and wear a hat and sunglasses, especially when I’m playing sports. 3. I will try to find a sport (like basketball or soccer) or an activity (like playing tag, jumping rope, dancing or riding my bike) that I like and do it at least three times a week. 4. I will always wear a helmet when riding a bike. 5. I will wear my seat belt every time I get in a car. I’ll sit in the back seat and use a booster seat until I am tall enough to use a lap/shoulder seat belt. 6. I’ll be nice to other kids. I’ll be friendly to kids who need friends or who may have a hard time making friends – like someone who is shy, or is new to my school. 7. I’ll never give out private information such as my name, home address, school name or telephone number on the Internet. Also, I’ll never send a picture of myself to someone I chat with on the computer without asking my parent if it is okay. 8. I will try to talk with my parent or a trusted adult when I have a problem or feel stressed.